I hope most of us travel by train in India and a common snack which comes in train is spicy and delicious chana chat. 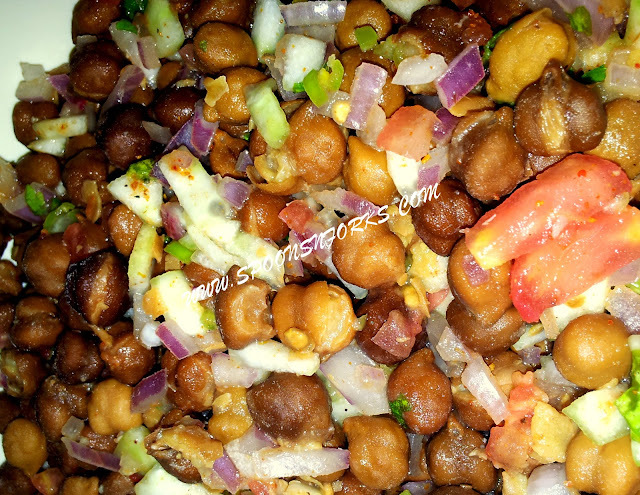 I make chick pea salad for evening snack for my daughter and husband. I don’t prefer this in night because it cause gas problem in stomach. · Take a mixing bowl. · Put all the ingredients in the bowl except lemon juice. · While serving mix lemon juice and serve. looks yummy n healthy salad.. Very healthy and a nice salad. Love my salads with chickpeas,nutritious.